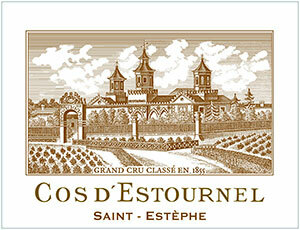 Tasted at the Cos d’Estournel dinner at St. John. This has a ripe strawberry, blackberry almost floral nose although there is a slight ephemeral quality to it. Lacks the dimension of say the ’90 or the ’00. Traits of raspberry, scorched earth and a touch of cedar/mint emerging with time in the glass. The palate is medium-bodied, good acidity, quite rounded and harmonious, but it is a two rather than three-dimensional wine. It seems to be more Merlot driven than other vintages, although the tarry foursquare finish is attractive if not intellectual. This is a moderate success, nothing more. Drink now-2018. Tasted March 2009.